Wisconsin manufacturers should be planning now, for the economy&apos;s future recovery. Wisconsin Manufacturing Extension Partnership president, Mike Klonsinski, admits this is a tough time for Wisconsin&apos;s signature industry. “We&apos;re in survival mode in a lot of manufacturing firms in Wisconsin . . . in order to get through this period,” says Klonsinski. 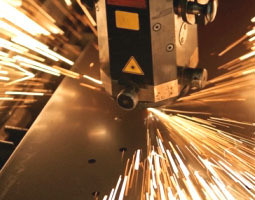 WMEP&apos;s Manufacturing Matters Conference in Milwaukee on Tuesday will focus on ways the state&apos;s manufacturers can emerge stronger and more profitable when the economy recovers.